All India Council for Technical Education (AICTE), under the aegis of Ministry of Human Resource Development, Govt. of India in association with Inter Institutional Inclusive Innovation Center (i4c), and Persistent Systems is organizing 'Smart India Hackathon 2017', a unique initiative to identify new and disruptive digital solutions for solving the challenges faced by our country. Dr. Anil Sahasrabudhe, Chairman, AICTE. 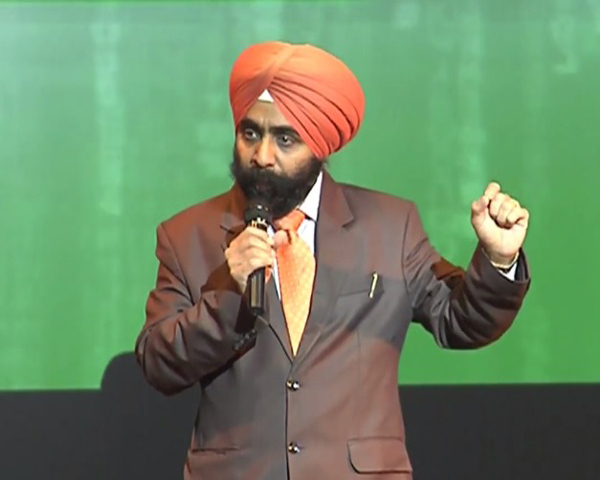 Dr. Manpreet Manna, Director, AICTE. 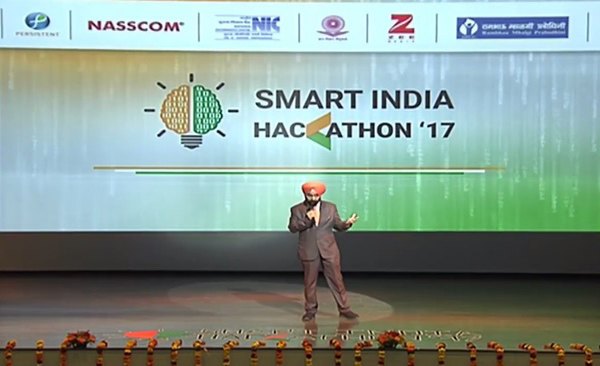 Dr. Abhay Jere, Secretary, Organizing Committee, Smart India Hackathon 2017. SPOCs, Directors /Principals and Faculties along with the Students of AICTE approved institutions attended the workshop. Faculty members Dr. Somnath Sinha and Sh. 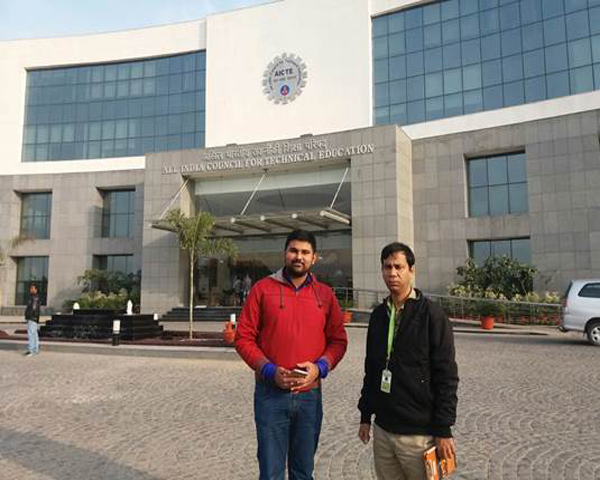 Ashwani Kumar along with the students, Vikas Rai, Sachin Verma & Apratim represented Dronacharya Group of Institutions, Greater Noida at the workshop. Inaugurating the workshop, Dr.Manna welcomed all the participants and gave a brief of Smart India Hackathon 2017, its structure, rules of participation and mode of idea submission. Shri. Prakash Javadekar said that Hon’ble Prime Minister, Shri Narendra Modi, envisages the 'Digital India' initiative to bridge the digital divide in our country and further promote digital literacy in order to make development a comprehensive mass movement and put governance within everyone’s reach. Sh. 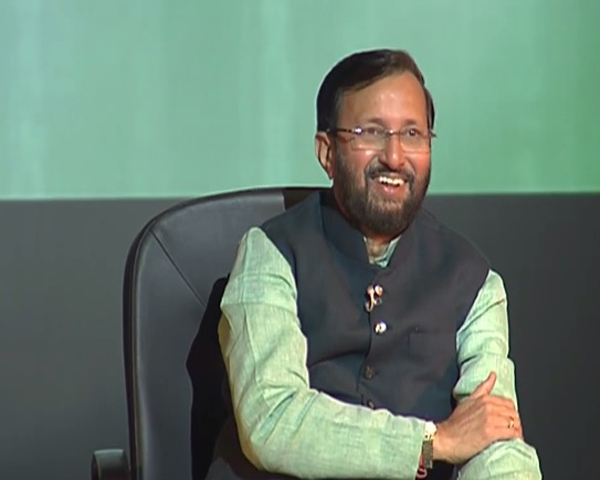 Javadekar said that the PM also believes that, to ensure development youth should be involved in large numbers as they are capable of offering new, innovative solutions for some of the daunting problems faced by our nation e.g. water management, sanitation, affordable healthcare, sustainable environment, etc. Shri. 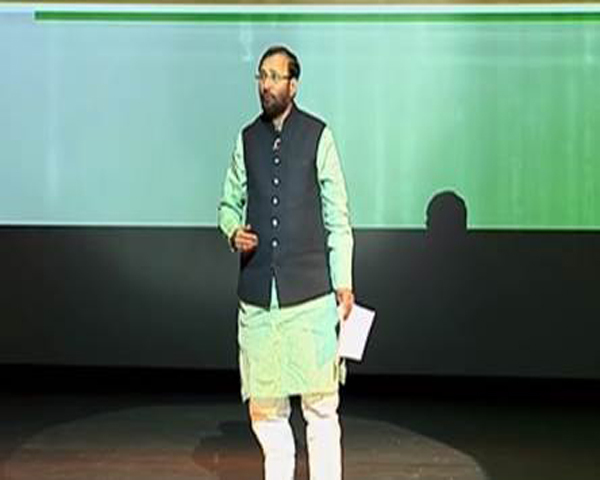 Javadekar informed the audience that 29 ministries had given 598 challenging problems. Till 17th January 2017,601 ideas addressing 253 problem statements were received by MHRD. However, there are 345 problem statements still need to be addressed for which he encouraged the students to come forward and submit ideas. Sh. 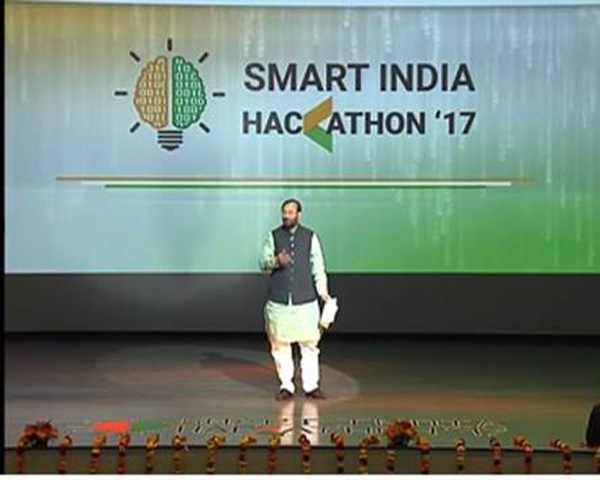 Javadekar said that SIH - 2017 will be a 36 hrs non-stop digital programming competition during which student teams will compete simultaneously at 25 different centers across India to offer innovative digital solutions for any given problem. 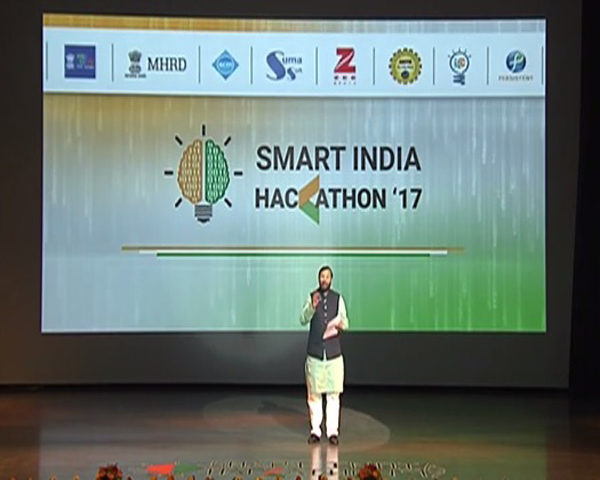 Smart India Hackathon 2017 will be the biggest Hackathon initiative in the world, as it will reach out to 30+ lakhs technology students across all technology institutions in India recognised by AICTE. Through this initiative, student community will think out - of - the - box and offer innovative, disruptive yet sustainable ideas to build smart applications which will help in national development. 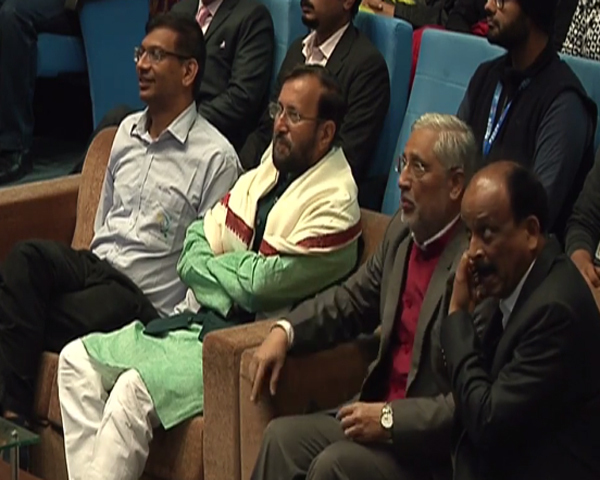 Seeing the enthusiasm of the students, Sh.Javadekar declared that the last date of submission of ideas has been extended to 31st January 2017. He said that he expected students from all the AICTE approved colleges to participate inSIH - 2017. 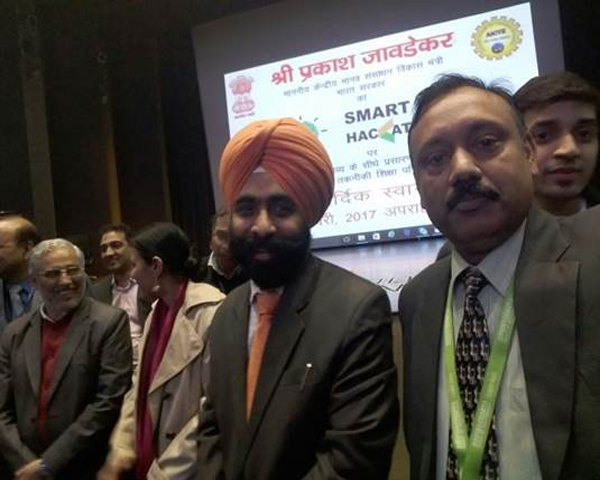 Dr. Anil Sahasrabudhe thanked all for showing interest in the participation of Smart India Hackathon 2017. 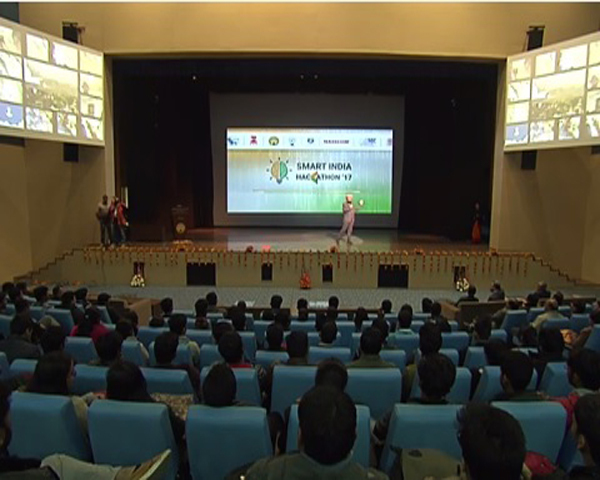 He motivated the students to contribute for the Digital India transformation. He said that 1.25 billion nation is waiting to see the solutions to their problems. Their hope is 3 million bright, motivated technical students of India on whom the responsibility lies. 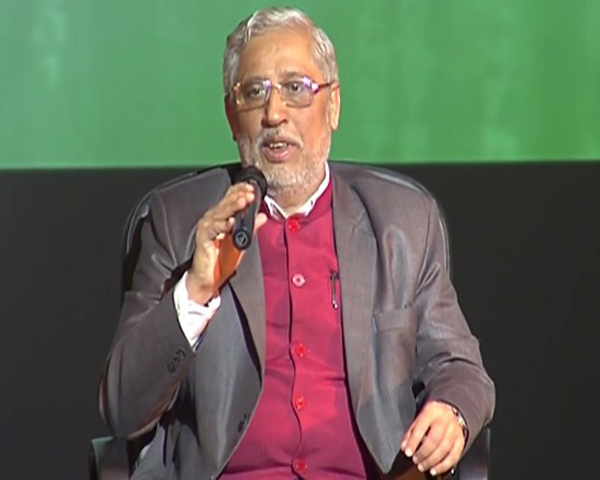 Dr. Abhay Jere opined that It could be a life changing opportunity for students to solve the problems of common man, government and the nation to make India ‘smart’. This opportunity he said will give the students all the skills required to become employable, to be an entrepreneur, manager, leader and more importantly a satisfied human being. Dr.Jereencouraged them to take take their step forward towards the Smart India and win exciting prizes, which can change their life through out. 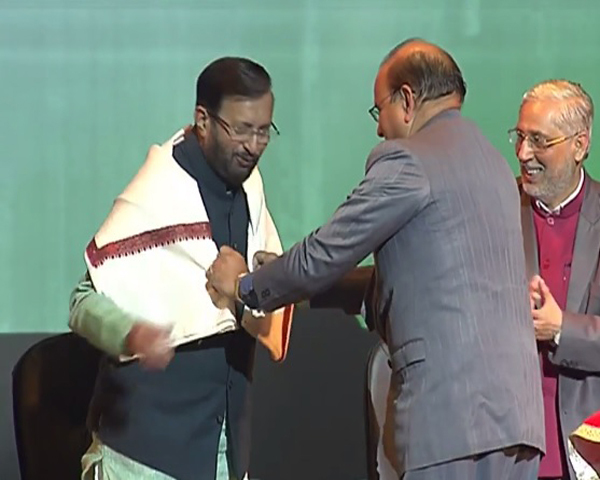 Member Secretary - AICTE and Dr. Anil Sahasrabudhe felicitated Sh.Javdekar with a memento. Dr. Manpreet Manna, Director, AICTE rendered Vote of Thanks.